When I first saw the ads on TV for Pacific Rim, I thought, "Oh, dear, here's a live action mecha movie that will be huge on special effects on short on story." Then the Rotten Tomatoes score came in pretty high and my kids went and saw it and thought it was good, so I put it in my Netflix queue. The purpose of special effects in a movie is to show the audience something it can't see in real life or, in some cases, to show something it would be to dangerous, difficult, or expensive to do in real life. And with computer generated imagery (CGI) that is only limited to the film makers' imagination and budget. The best special effects are those where the audience doesn't even realize there is a special effect on the screen. But with a movie such as Pacific Rim, that's impossible. There are no giant monsters rising up from the sea and there are no huge robots with people inside them to fight the monsters. But still, the film makers can hope to achieve the point where the audience isn't thinking "Wow, what a cool special effect" but is thinking, "I hope the robot wins this fight." Some film makers make the mistake of thinking the special effects are the story but good film makers know that a good story and compelling complex characters have to be there, the special effects only enhance it. My touchstone for such movies is the Lord of the Rings trilogy. Huge amount of CGI effects throughout, yet it never, ever lets go of the story. And yes, there are times you forget that Golum is a CGI effect. 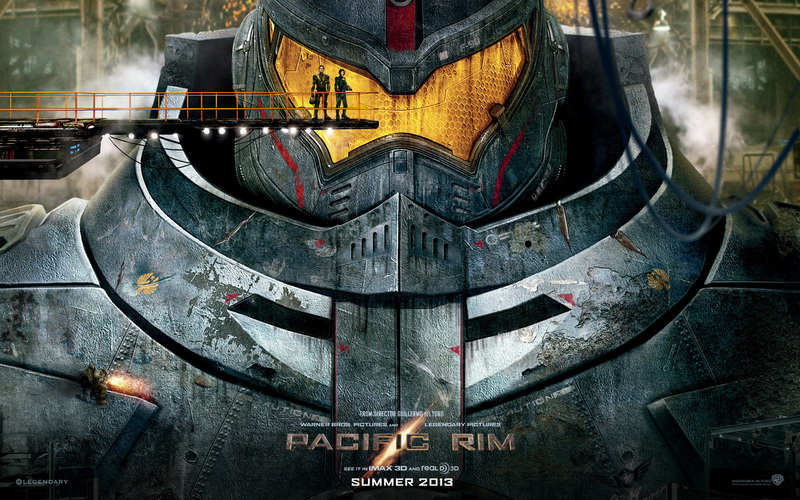 Pacific Rim, while no LOTR, never lets go of the story. Yes, there are times you think, "Wow, the CGI effects budget on this film must be huge" but it's hard to get away from that with huge robots fighting huge monsters. It's not like 6,000 riders of Rohan that you can forget are a CGI effect. But the personalities, the stories, and the pain and triumph of the characters always comes through despite the huge effects budget. No, it's not Pride and Prejudice with robots and there's a few hoary clichés, but over all, Pacific Rim is enjoyable and fun.